Definition at line 244 of file CommCalls.h. Definition at line 248 of file CommCalls.h. Definition at line 188 of file CommCalls.cc. Definition at line 195 of file CommCalls.cc. 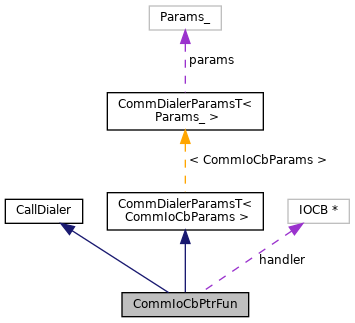 References CommIoCbParams::buf, CommCommonCbParams::conn, CommCommonCbParams::data, CommCommonCbParams::flag, handler, CommDialerParamsT< CommIoCbParams >::params, CommIoCbParams::size, and CommCommonCbParams::xerrno. Definition at line 201 of file CommCalls.cc. 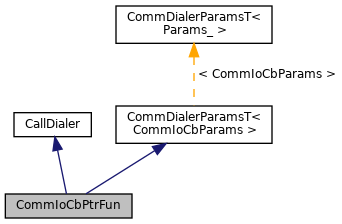 References CommDialerParamsT< CommIoCbParams >::params, and CommIoCbParams::print(). Definition at line 256 of file CommCalls.h.